Available: Shipped in 1-3 working days. "Life in the Tomb" a war novel written in journal form by a sergeant in the trenches, has been the single most successful and widely read serious work of fiction in Greece since its publication in serial form in 1923-1924, having sold more than 80,000 copies in book form despite its inclusion on the list of censored novels under both the Metaxas regime and the German occupation. Published in nearly a dozen translations, it is the first volume of a trilogy containing "The Mermaid Madonna" and "The Schoolmistress with the Golden Eyes, both of which have been available in a variety of languages. 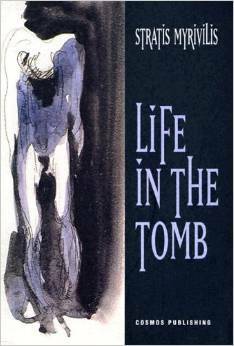 "Life in the Tomb" has moments of great literary beauty and of more than one kind of literary power. In 1917, Myrivilis was twenty-five. "Before I entered the trenches I had not the slightest inkling of life's true worth. From now on, however, I shall savour its moments one by one..." This... truthful fiction... [makes] one see... It is antiheroic and completely convincing. - Peter Levi [Peter Bien] has turned a Greek masterpiece into something not much less than an English one. - C.M. Woodhouse, "Times Literary supplement"